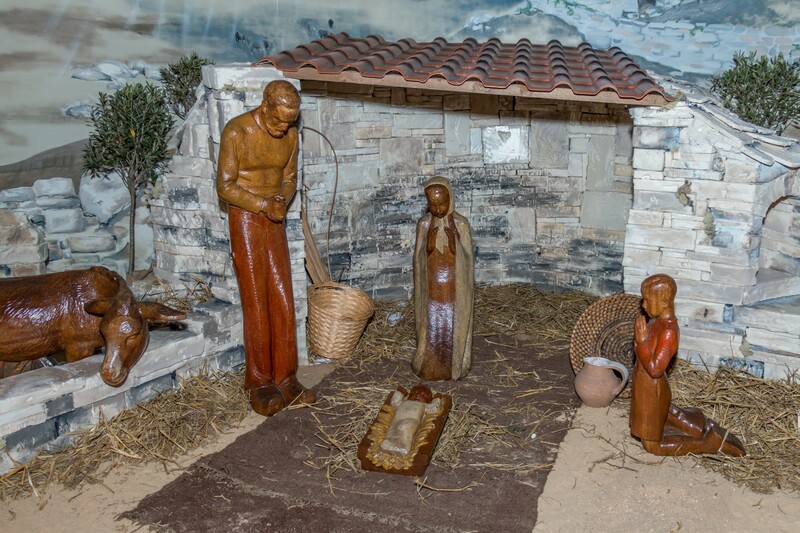 The Nativity Scene inside the Sacré-Cœur basilica in Montmartre (18th arrondissement) is one of the most visited in Paris. 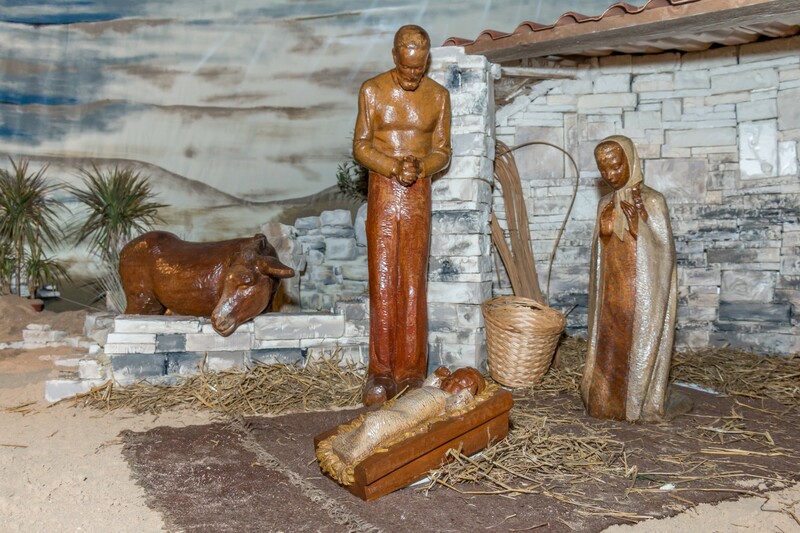 Discover the 2015 edition of the famous crib. 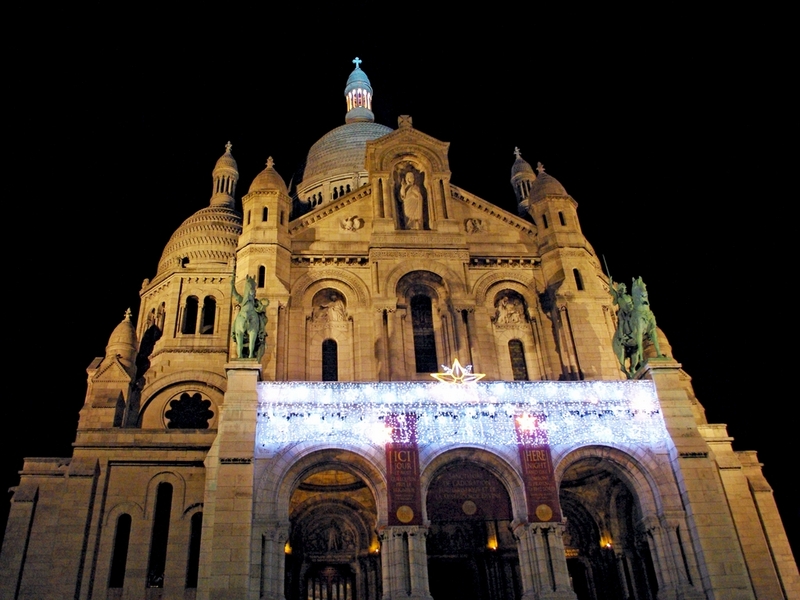 Visiting Montmartre in December is a great way to experience the fervour of Christmas. The Romanesque-Byzantine style of the Sacré-Cœur is made up with white stone covered with a robust scale paving. Inspired by Hagia Sophia in Constantinople as well as St Mark’s Basilica in Venice, Italy, the whipped-cream look of the edifice is enhanced at night with a beautiful lighting effect. 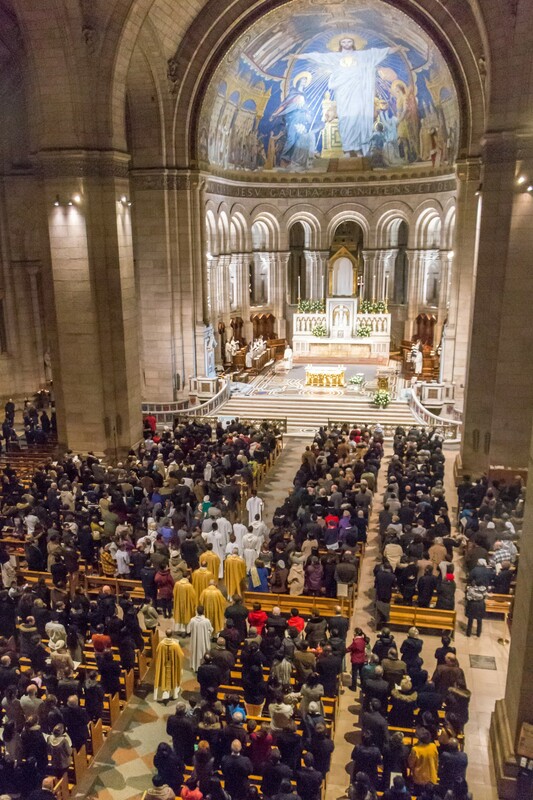 When visiting the church, observe the ceiling of the apse. It is ornate with France’s largest mosaics, measuring about 480m2. Designed by Luc-Olivier Merson in 1922, it represents Christ in Majesty with a Latin inscription: to the sacred heart of Jesus from a fervent, penitent and thankful France. 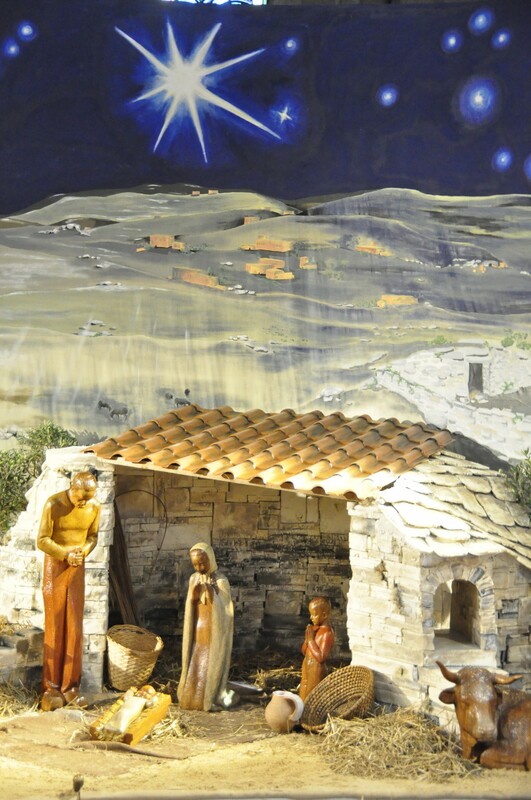 This year we visited several churches and took many shots of some of Paris’ most beautiful Nativity Scenes. 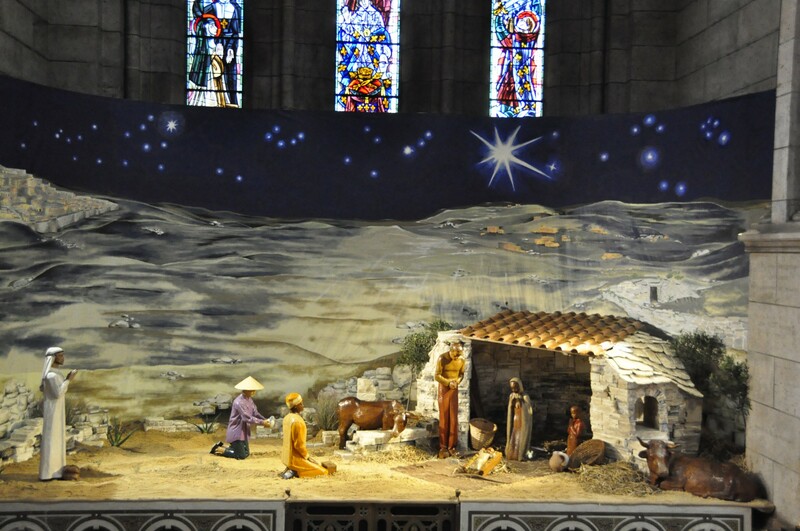 Unfortunately we did not make it on time to see the crib inside the Sacré-Cœur Basilica. 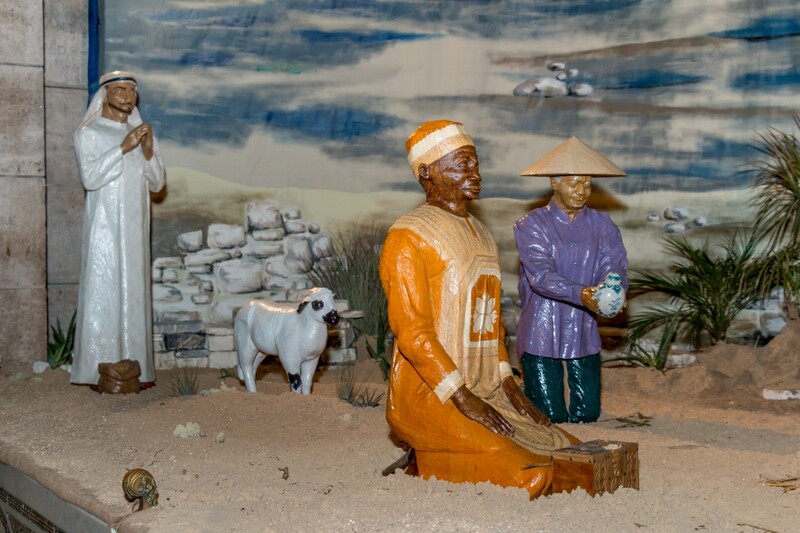 We would like to thank the Communication Service of the basilica for sending us these photos of the 2015 Nativity Scene. 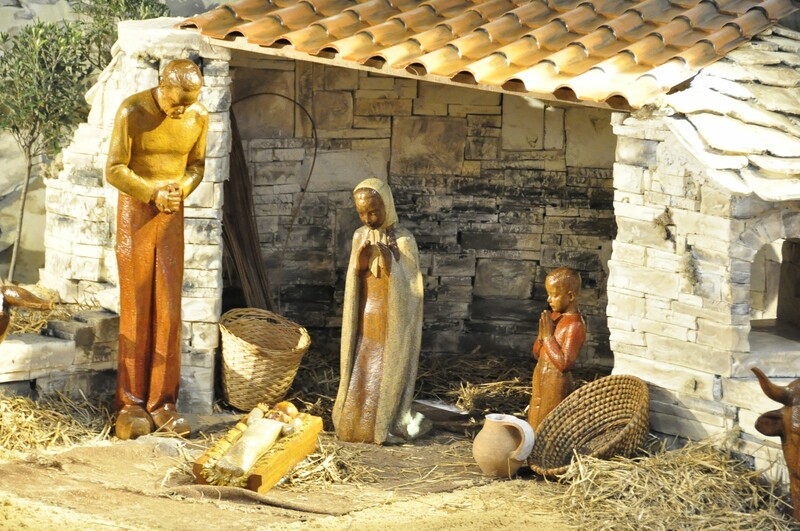 Beautifully crafted in wood it recalls with simplicity the humble birth of Jesus-Christ in a crib.